There is a great deal of scientific research being conducted on why sensitive people react to allergens in the way that they do. We do not yet understand what the mechanism is in many instances – there are many allergens out there and everyone reacts in a different way. This is a complicated and thorny problem, but we do know a lot about the ways people react to allergens. Many of us know this from personal experience and don’t need a scientist to tell us we have sore eyes and noses! These reactions to allergens are merely symptoms, as uncomfortable as they may be. Irritation caused by allergic reactions is unpleasant, however it can also lead to a very painful experience for some sufferers, and in extreme cases death. Take your nose for instance, which performs an important role in protecting your lungs. Your nose acts to filter out particles and detritus which should not be allowed to proceed down into the airways, or even worse, into your lungs. The nose traps larger particles, and in doing so acts as a first line of defense against allergens and the particulate matter upon which they may be transported. Bear in mind that it may not be the particle causing an allergic reaction, such as dog fur, but rather the allergen is carried upon it (in our dog’s case it is the oil excreted by the dog which is then attached to fur which is then carried into the air). Your nose cannot stop every particle from entering the lungs, however there is no need for worry or a reaction from the body in many instances. It is only when levels of allergens reaching the lungs reaches a trigger point that a reaction is created. The nose swells due to the opening of blood vessels, creating a stiffening of the nasal hair which acts as the filter and trapping more particulate matter. In people who are not allergic, this creates no problem – the dilation of blood vessels simply prevents the level of particulate matter from reaching the lungs. The allergic reaction is triggered in those who have a system which goes into overdrive. The reaction to allergens triggers the dilation of blood vessels, which stiffens the nasal hairs, however it is not moderated in any fashion – it simply continues which results in swelling, itching, irritation, running noses and crying eyes. In same vein, your eyelids perform a very similar function to the nose, i.e. to trap allergens before they get anywhere within the body and create more damage. 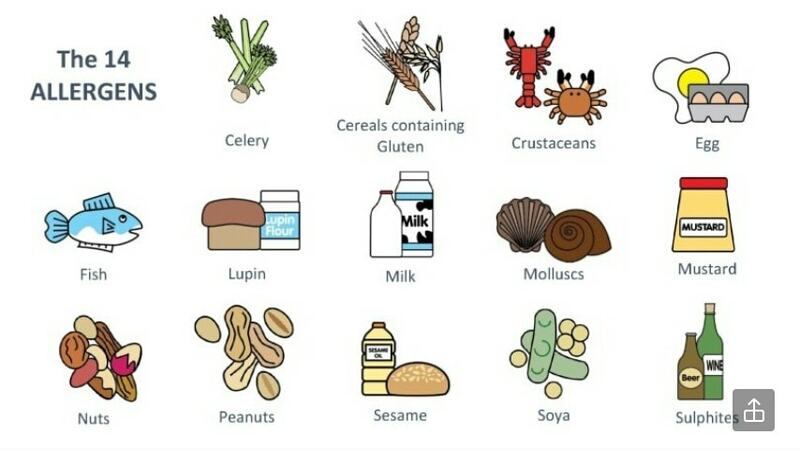 The over-reaction to existing allergen levels triggers a one-way response which is out of proportion to the reaction which is actually required. The body’s defense mechanism to allergens is complex, however a way to understand what is happening is to look at your allergy medication. You will typically see it contains “anti-histamines” or some spelling variation within the list of key ingredients. What this means is that the medication stops the effect of histamines; but what are histamines and why are they so rotten to allergy sufferers? Histamines are inflammatory chemicals which are naturally released by the body in the event of an allergic reaction. It is the histamine which causes the dilation of blood vessels in response to allergen levels, and it achieves this by the contraction of what is referred to as “smooth muscle”. Smooth muscles are found throughout the body, however you may understand them better if you consider your stomach and bladder as using them. It is your immune system which tells your body to release histamines in response to allergen levels. Your immune system protects the body from invading bacteria, viruses and other miscreants which are potentially harmful to your body and biological processes. However, allergies are generally not life-threatening (though they can be), and the problem is the over-reaction to them by your body. The immune system is over-reacting and tries to use everything available to tackle the intrusion, which in turn floods the body with histamine creating the irritations and discomfort. The medical approach is to counter this flood of histamines with antihistamines and alleviate the symptoms. 1 Response to "HOME Understanding Your Body’s Reaction to Allergens"